This beautiful crystal and pearl necklace is classic with understated sophistication from the 1940s. 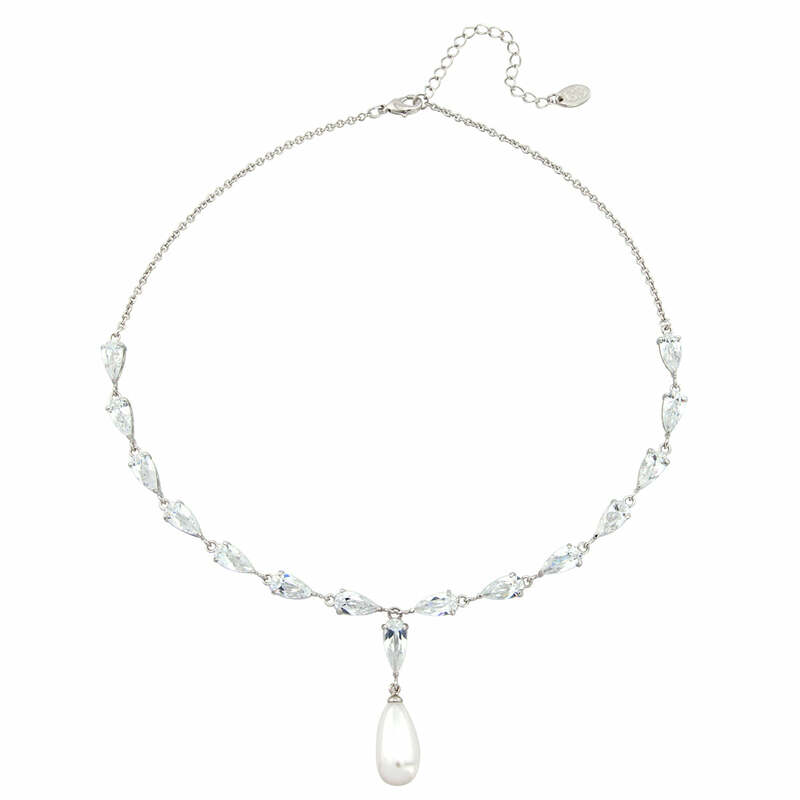 Pearl Elegance Necklace is the pinnacle of understated class and sophistication, perfect for the more reserved bride who would like to inject some glitz and glamour into her wedding outfit. Inspired by the elegant pearl wedding necklaces of bygone eras, Pearl Elegance Necklace is a silver-tone piece, featuring a chain of stunningly sparkling clear Austrian crystals, finished with a captivating light ivory pearl droplet. A truly versatile wedding necklace that can be worn to add vintage charm to a modern gown or to complement a vintage-inspired look. Wear this delicately gorgeous piece with our matching, Pearl Elegance Earrings and be every bit the radiant bride as you glow with elegant charm on your big day.